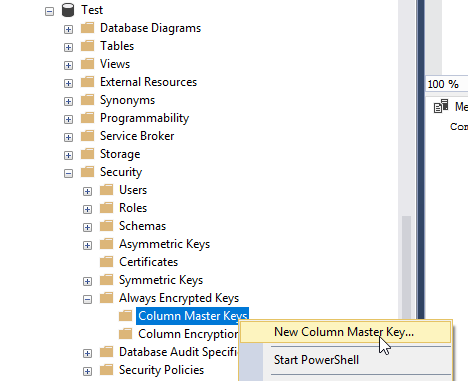 In the New Column Master Key box you can choose from several key stores. The most popular stores are Current User or Current Machine. See below for description. This type of certificate store is local to the computer and is global to all users on the computer. 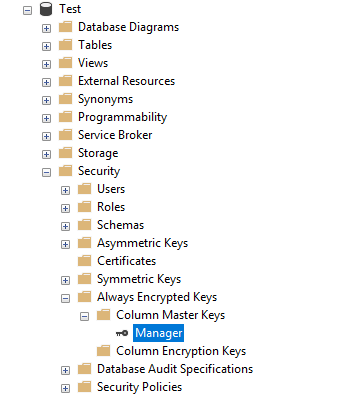 This certificate store is located in the registry under the HKEY_LOCAL_MACHINE root. 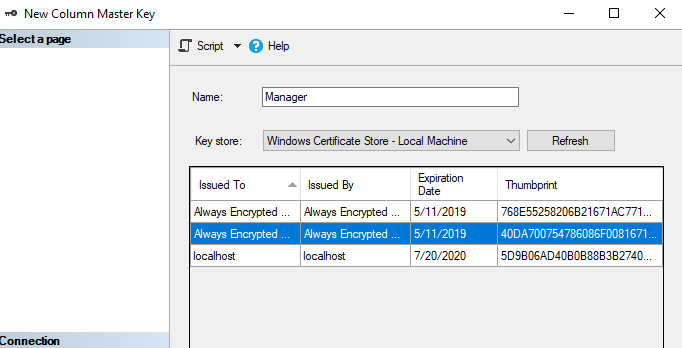 Be aware that all current user certificate stores inherit the contents of the local machine certificate stores. 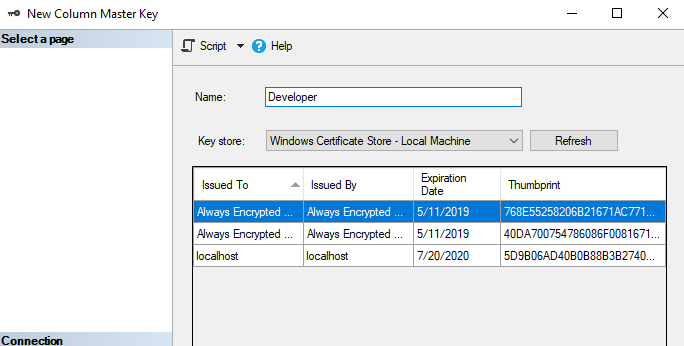 For example, if a certificate is added to the local machine Trusted Root Certification Authorities certificate store, all current user Trusted Root Certification Authorities certificate stores also contain the certificate. 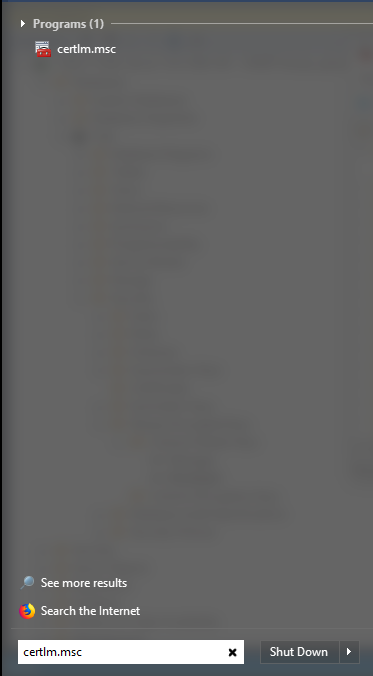 In this example, we’ll use Local Machine. 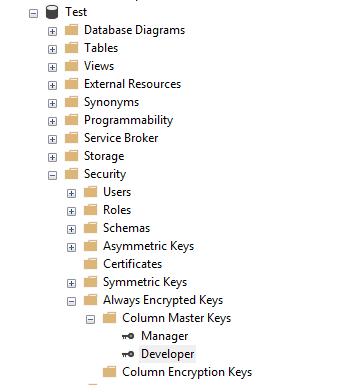 Type a name for the Master Key, choose Key Store and click Generate Certificate. 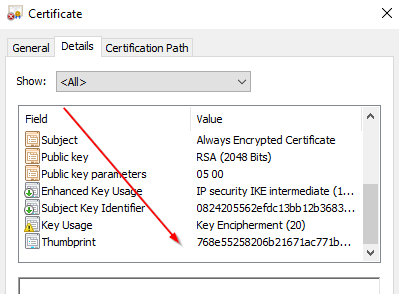 Right click the certificate in Certlm.msc and choose Properties. 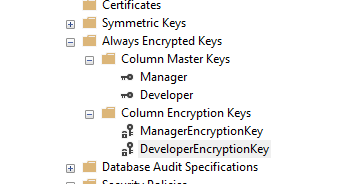 Enter a friendly name to identify which certificate belongs with the Column Master Key.